Back row: J Mitchell, J Slater, J McMillen. 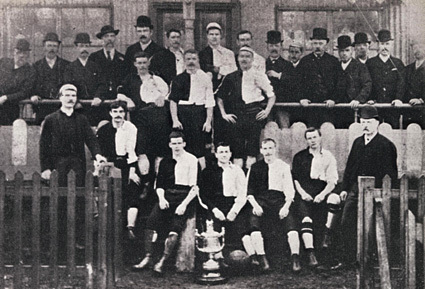 Middle row: R Doughty, D Ramsey, J Owen. Front row: Smith (umpire), A Farman, J Doughty, G Evans, R Milarvie, W Sharp and Priday (Trainer).